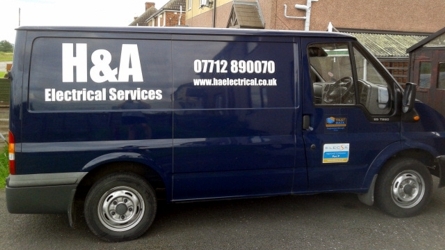 Based in Loughborough, Leicestershire, H&A Electrical Services can meet all your expectations for a top quality electrical installation. From minor repairs, inspection and testing, extra sockets and new lights, to complete new installations and rewires. Our prices are competitive and reflect a high quality job completed for a good value for money price. You can be assured of our full attention throughout the process, from the initial visit to final certification and notification under part "P" of the building Regulations (where applicable). We are registered with, and notify building control through ELECSA, who are owned by the Electrical Contractors' Association (ECA). The ECA has been working with Electricians for 100 years. Our workmanship is also covered by the ELECSA Platinum Promise for 6 years.